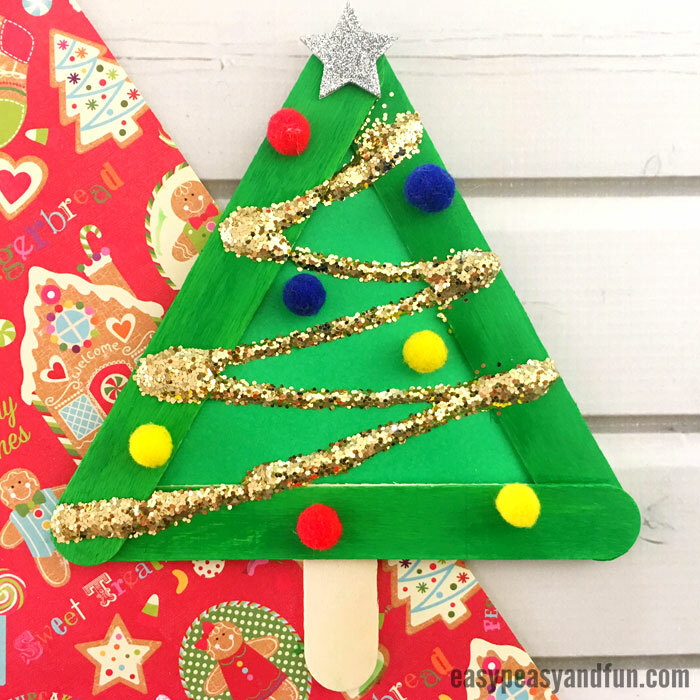 Who is ready for Christmas crafting with kids? We are! 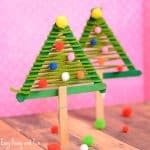 This wonderful Christmas tree from craft sticks crafty activity that’s great for preschoolers and kids in kindergarten. 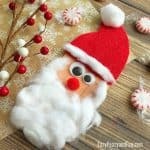 We have all the fuzzy feels towards the festive season, and as far as crafting goes it certainly is our favorite time of the year! 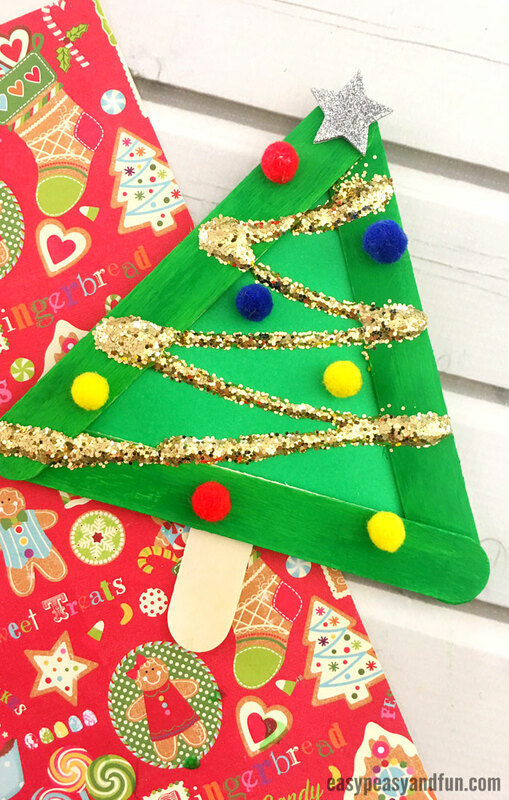 We are really happy to add this adorable craft stick Christmas tree to our collection of Christmas tree craft ideas! 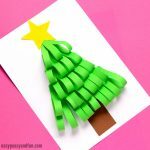 Nothing beats simple and easy crafts and this one certainly is just that! 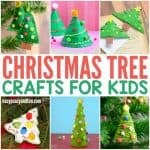 You can make it simple enough for preschoolers to make, or detailed enough for older kids to enjoy too! Any other decorating materials more than welcome. 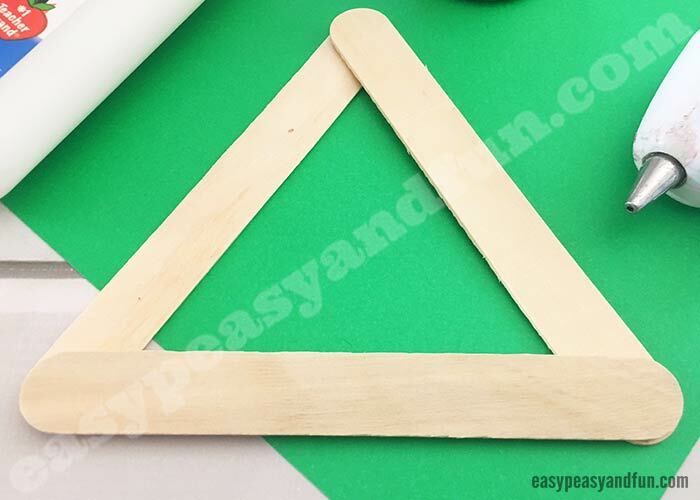 Carefully glue three jumbo craft sticks together in the shape of a triangle with either white school glue or low temperature glue gun. 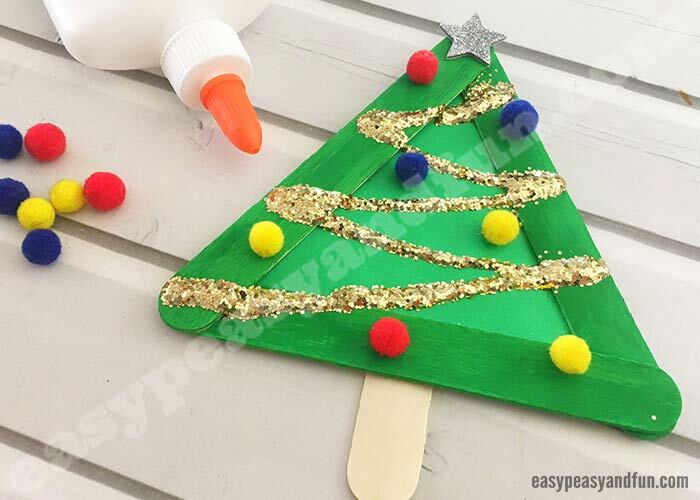 Older kids can use regular glue gun. 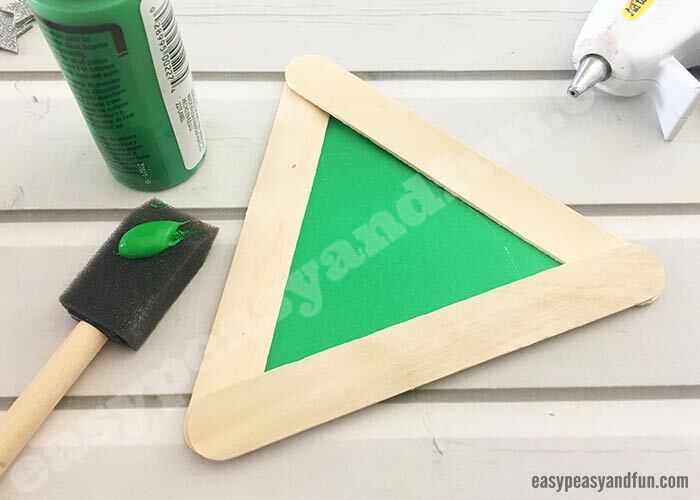 Trace the outside of your triangle onto your green card stock, cut out with scissors, and glue to the back of your triangle. 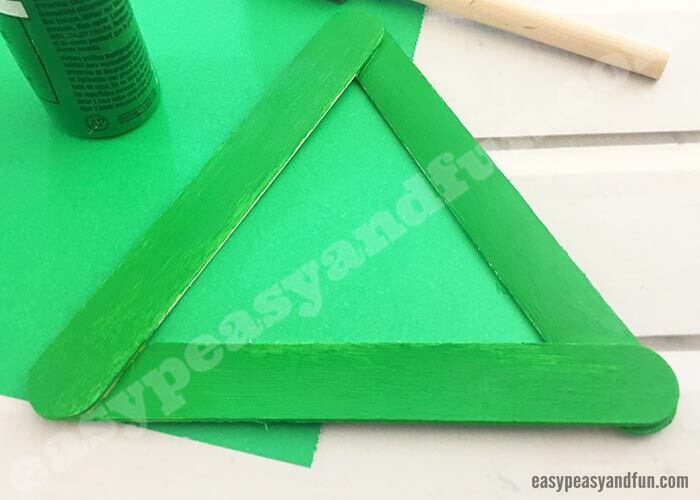 Paint the front of your triangle green and let dry. 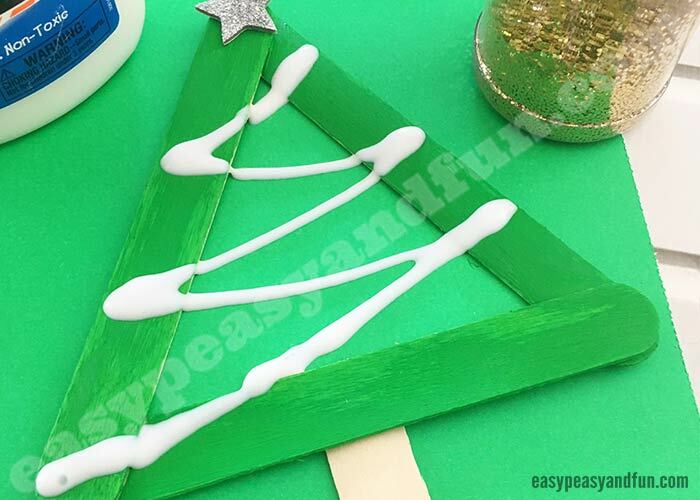 You could naturally paint the craft sticks before gluing them together. 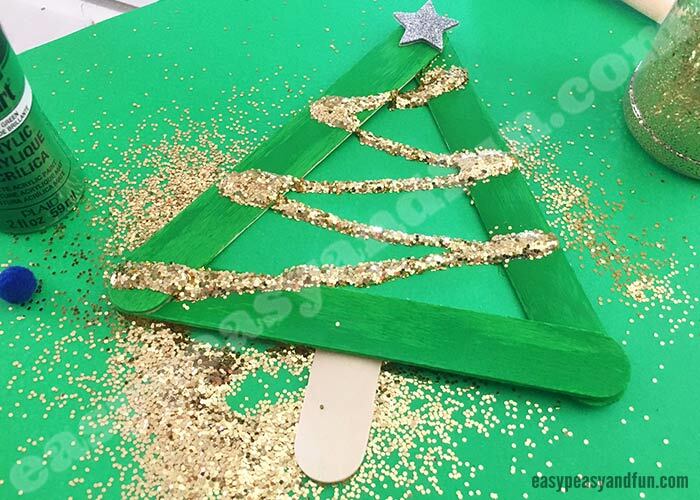 Then glue a jumbo craft stick onto the back so the bottom is sticking out from one flat side like a trunk. Starting to look pretty neat already isn’t it? 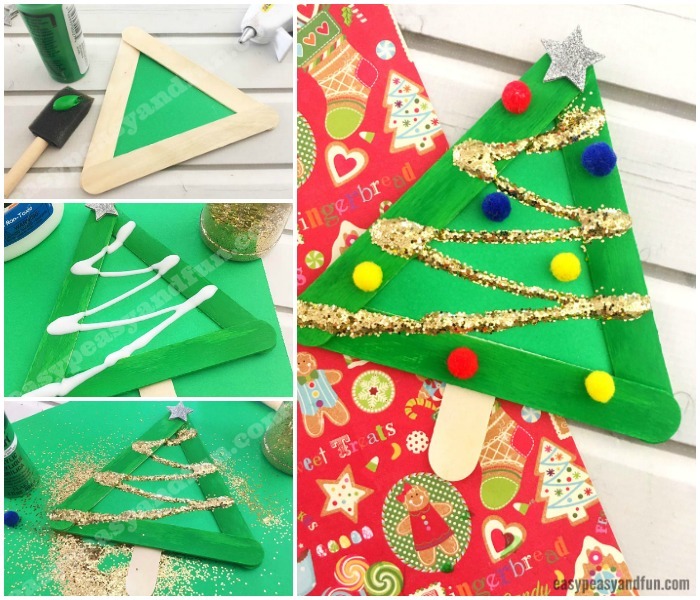 Glue or stick your star onto the top point. 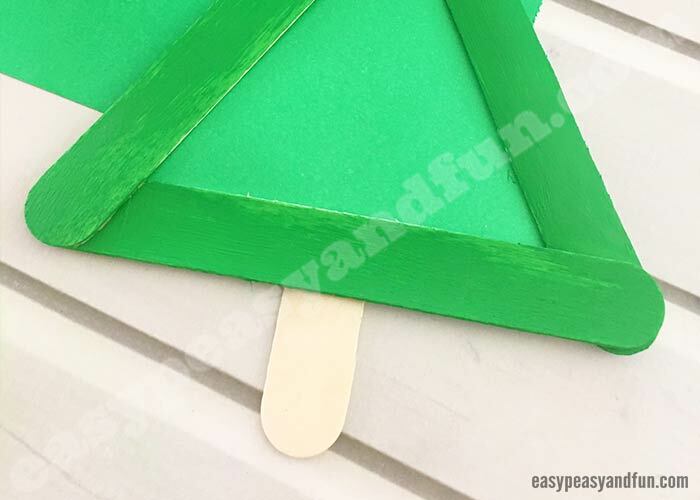 Use your glue to draw a back and forth garland starting at the bottom corner of your tree and working your way to the top. 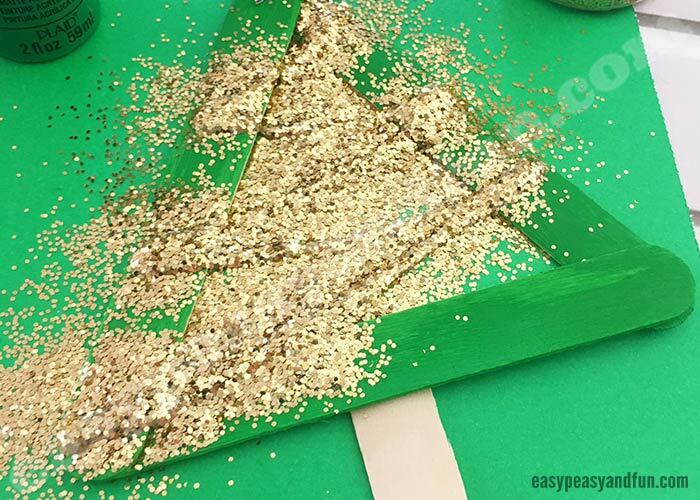 Coat with glitter and shake off any excess over the trash (or save it by pouring it back into your glitter bottle). 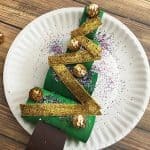 Not a fan of glitter (we hear you), use glitter glue instead – it won’t be as sparkly and shiny but will save you from potential glitter explosions (getting glitter everywhere). 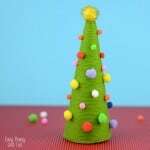 Glue your pom poms onto the tree and let your Christmas tree dry.